Much excitement comes to our area as the PGA Tour golf tournament comes to town the week of Memorial Day, and we want to give one local fan the opportunity to experience it first-hand! Congratulations to.....Geoff W. from New Albany! 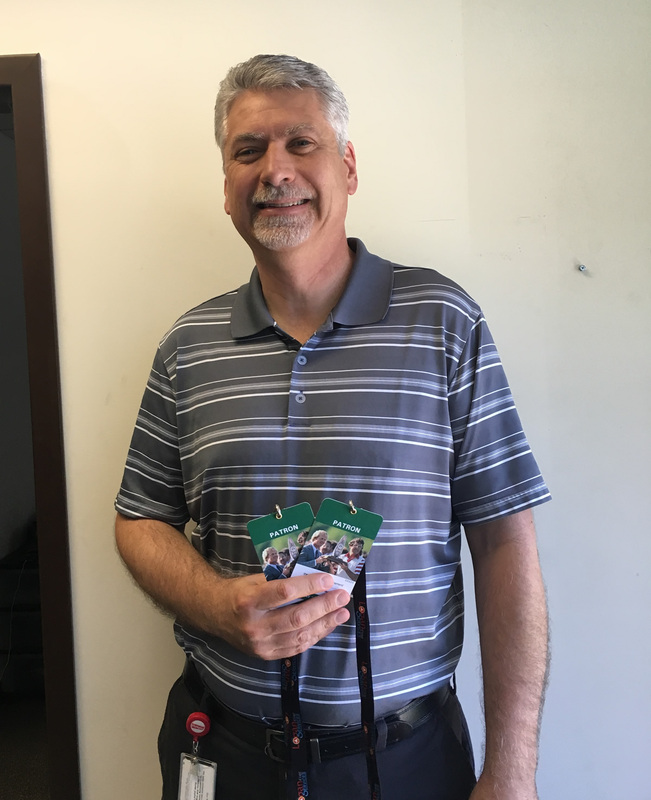 Geoff, pictured here, is the winner a pair of Weekly Patron Badges to the Memorial Tournament at the beautiful Muirfield Village Golf Club in Dublin, Ohio. Geoff told us that he is a huge golf fan and that he is most excited to see Tiger Woods play this year, who has not played in the Memorial Tournament in a few years. Geoff shared, "I'm a fan of the best golfers in the world, and want to take my wife who's birthday is the next week, and it's also her last week of school working with the special needs children in Columbus City Schools." We are so excited to name Geoff our winner, and we hope that he and his wife have a great time at the tournament! Congratulations again! We wish everyone a very safe and happy Memorial Day!